Following the events of Glory Days, Bernice and Peter Summerfield are off to Venus to collect the financial legacy of Jason Kane. There’s just one problem: they’ve run out of money and ended up trapped on a place with so little there that it’s called “Absence”. 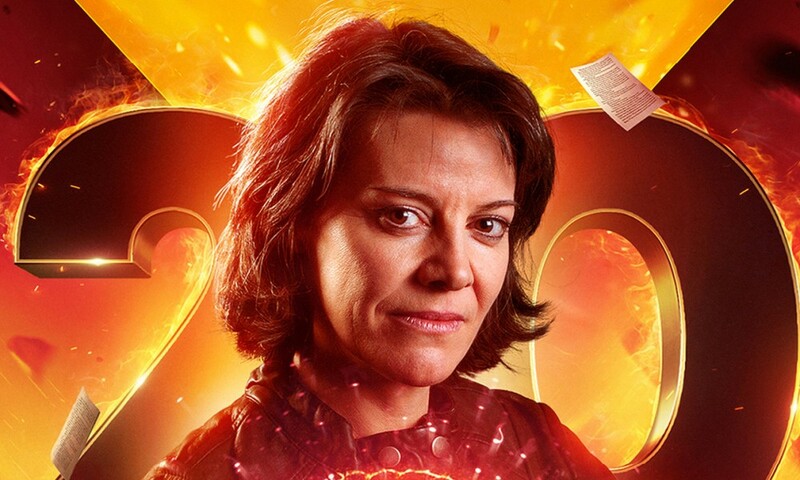 Absence is the latest Bernice Summerfield contribution from Daniel O’Mahony, much beloved around these parts for his previous stories Timeless Passages and The Tub Full of Cats. Like those tales, Absence combines character insight, bleakness of tone, and sci-fi ideas for a strong package. Like The Adolescence of Time, Absence splits Benny and Peter up, sending Peter off on an adventure while Benny can’t do anything but worry and wait. Absence does a much better job with this than Adolescence; instead of being petulant and obnoxious, Peter is sympathetic — a young man who’s learned a lot from his mother, but who also hopes to get outside of her influences. Absence is a “cluster object”, random junk and debris that’s come together in the interstellar void to create a small, kind of artificial planetoid. Benny and Peter are trying to get work with business magnate Lamarque Aslinedes, who’s putting together an expedition into the heart of Absence. A lot of Bernice Summerfield stories are hampered by their small cast sizes; like the best of them, Absence makes a virtue of it. We don’t just get the traditional excerpts from Benny’s diary, but also Peter starts to write his own diary. Both of these sections are a triumph of writing, performance, and sound design. O’Mahony’s script is filled with insight into both characters, as we hear Benny try to occupy herself with her son gone, and Peter struggle to make his experience valuable and prove himself to strangers. Peter’s narration also works to cover the fact that he’s one of three actors on this expedition — it legitimately works as an artistic choice to have him narrate what the others do, with the occasional bit of dialogue from Trevor Littledale as Aslinedes and Rachael Elizabeth as Cindy cut in. Lisa Bowerman is always good of course, but this is certainly Thomas Grant’s best performance as Peter yet, balancing fear and bravado in a very real, very teenage way. Martin Johnson’s foreboding sound design does a great job of capturing the isolation and ennui of Absence. All the performances and characters are top-notch. Aslinedes is obsessive, but real-sounding; Trevor Littledale is always a delight to listen to. Elizabeth does a great job in the mysterious role of Cindy. In particular, there’s this very spooky scene where she and Peter have a midnight conversation. She claims to have no hidden depths, but she never ceases to surprise throughout the story. Paul Thornley also does a great job as Aaron Keep, a cyborg that Benny befriends while waiting for Peter’s return. 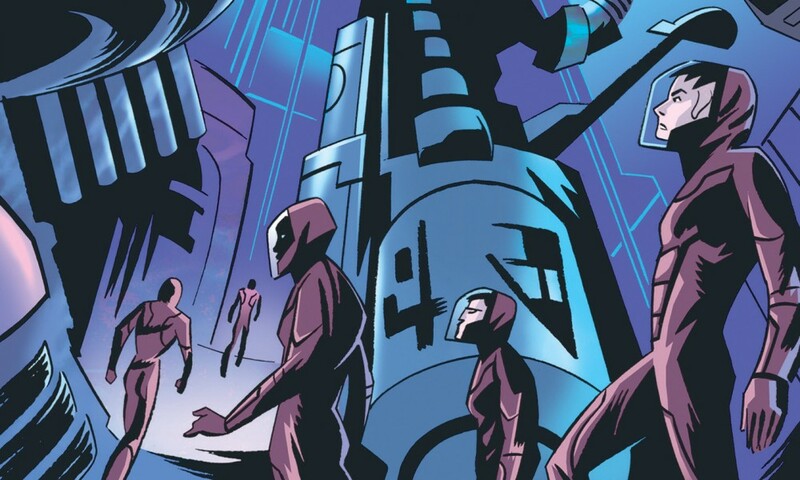 My only complaint is that the plotting is a little weird, in that when the “villains” are revealed, it’s a bit awkward because they literally haven’t been mentioned or hinted at before, so there’s a lot of exposition about who they are! It would have been nice if they could have been foreshadowed more in some way — then their motivations would feel like they arose more organically from the story. 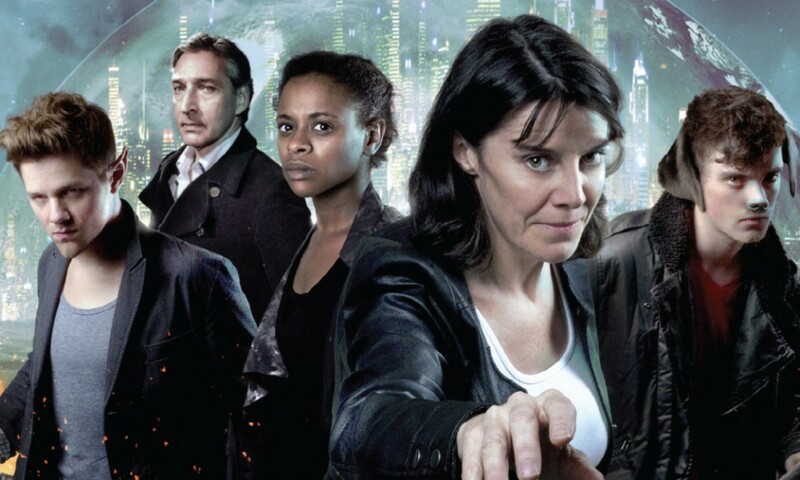 John Ainsworth is always one of Bernice Summerfield’s most reliable directors, picking up on the strong sense of reality O’Mahony’s script creates, and coaxing very naturalistic performances from his actors. Add to that Martin Johnson’s sharp sound design, and this is another strong Bernice Summerfield adventure. It’s bleak, and I wouldn’t want every Benny story to be like this, but Absence is something special. 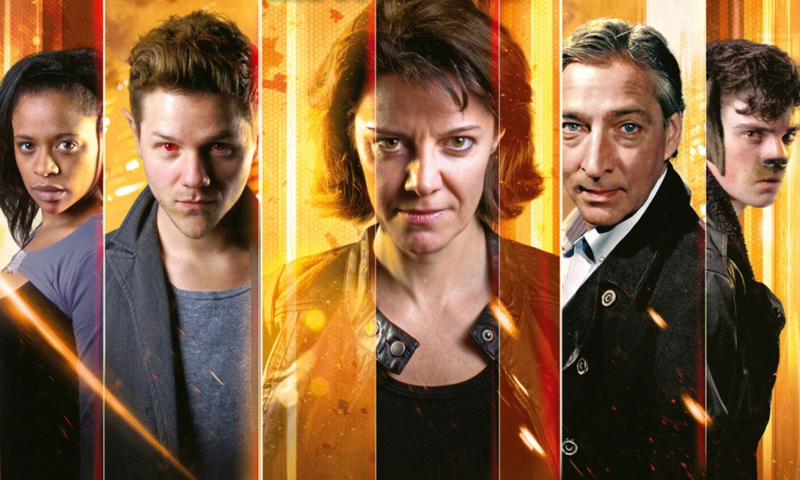 Absence (by Daniel O’Mahony; starring Lisa Bowerman) was released by Big Finish Productions in July 2009.